You are not going to get the full range from your wireless doorbell. Not even from the best wireless doorbell! Sure, that doesn’t stop the sellers advertising the full range though does it! But why? In this article, we explain the difference between the full range and working range when it comes to what to expect from your wireless doorbell. What Is The Full Range? What Is The Working Range? What Objects Can Get In The Way Of A Wireless Doorbell Signal? Can I Work Out The Operating Range? When you are looking to buy a wireless doorbell, the sellers will always give you the range. This can be 300 feet +. It sounds great when you see that some wireless doorbells work over 100 feet + but will you actually see it working over that range? That does not mean it will work over that range. It simply means it CAN work. What you need to know, is the working range. Simple, the full range is the longest distance your transmitter (push button) can be away from your receiver (chime) and it still works. There is a caveat. This is with nothing at all in the way, with the exception of air! Absolutely nothing….. This range is usually a lot more than you need. Take the Coolqiya wireless Doorbell. It is advertised as having a range of 1000 feet, which is awesome, right? Well..yes, but if you have a front door and literally nothing between that and the electric socket the chime is plugged into, that’s great! My house (and I like to think most houses) have things that help keep the roof up. They are called walls! These walls are great for helping you keep dry and warm, but they do get in the way of wireless signals. We discussed in our troubleshooting a wireless doorbell article, the wireless signal is degraded each time it has to pass through an object before it gets to the receiver. The signal degradation can cause intermittent transmission issues. This is the expected range your wireless Doorbell works with general house type objects are in the way. You know, walls, fridges, TV’s, kids and a cat. This is the distance you need to know, but how do you work it out if the seller doesn’t advertise it? More on that later, or you can jump to the section here. We have covered this already to a point. Walls are one of the two biggest enemies to a wireless signal. These items do not have to be large appliances either. The fact they are electrical means as the wireless signal passes through, it is going to weaken. While we are on the subject, most internal walls are going to have cables running through them. This will decrease the strength of the signal. The first challenge to the signal from your wireless Doorbell is the door it is attached to! It is extremely unlikely that you can do anything about it though! As the signal from your wireless Doorbell passes through the door, it will weaken and if it needs to pass through more doors it will weaken even more. Floors or ceiling, however you look at it, there is still a chunk of wood/plaster/cement in the way of the wireless transmitter and the wireless receiver. Each time it passed through a ceiling/floor, the wireless signal will be reduced, potentially causing intermittent connection issues. Pipework is usually made of copper, which is a metal. Metal is a well-known blocker of wireless signals. Unless the seller specifically states the working range or the operating range, then there are two ways to find out the working range. You can find out the average full range of a number of doorbells, then find out the average working range and grab the percentage. Luckily, we have already worked this out for you! We took 30 wireless doorbell options, where both ranges were specified. The average working range is just over 50%….50.49% to be exact! So if you need a wireless doorbell that works over 500 feet, go for one that is advertising a 1000 feet range. Then you get an extra 5.88 inches! Just what I always wanted. You should always put a lot of thought into where you are going to place the receiver, otherwise known as the chime. It is very obvious where you need to put the transmitter, and that is going to be very difficult to change! There are many things that will interfere with any wireless signal (WiFi, Doorbell, Bluetooth Speaker etc) but we have detailed the most guilty! Hopefully, you are reading this because you are interested, and not because you are having issues with your wireless doorbell, but if you are, then take a look at this troubleshooting article. If you are looking for a long range wireless doorbell, you should check out the Avantek D-3B as it has a full range of over 1300 feet! Now, what is the operating range? Looking For A Doorbell That Works With Alexa? If you are looking for a doorbell that works with Alexa, then we have some excellent options right here for you. All are Alexa certified by Amazon. Some options on the page are not wireless doorbells, so please check before you buy! If your wireless doorbell is not working then check out this troubleshooting guide. There are multiple tips on here to help you fix your wireless doorbell. Here we compare the differences between a wireless doorbell and a wired doorbell. We look at ease of installation, product features, portability, stability and the power supply. There is one clear winner....and I think you know what it is! Do you need a wireless doorbell with multiple receivers? Check out these wireless doorbell options, they all have at least two receivers! Have you ever wondered how a wireless doorbell works? Here we delve into the technicalities of a wireless doorbell, how and why it works. Here is a guide on what to expect to find in your new wireless doorbell kit. These are the top 5 things you will need before installing. Cold weather can damage your device! Do you live in a climate where the temperature has the potential to reach -20℃? If you do, there are still some great wireless doorbell options for you. In this post, we have identified 3 options for you to consider when buying a wireless doorbell! Here we review the exceptional Coolqiya wireless doorbell. This is a fantastic solution if you need a waterproof/weatherproof doorbell, a wireless doorbell for the hards of hearing, or if you need the ultimate expandable wireless doorbell! You can have over 10 extra receivers and push buttons! Looking For The Best WiFi Video Doorbell? The Best WiFi Video Doorbell Options! Check our these 4 options to suit any budget. There are two Ring options, which take up the top two places, followed by some cheaper options. Increase the security of your house with a video WiFi wireless doorbell! Are you looking for the best wireless doorbell with video integration? Do you want a wireless doorbell that doubles up as a security camera too? See here! Best Wireless Doorbell For The Hard Of Hearing - Top 7. Here are 7 fantastic options if you are hearing impaired and would like a wireless doorbell. These options have LED's to alert users to any visitors, which makes them great wireless doorbells for deaf people. 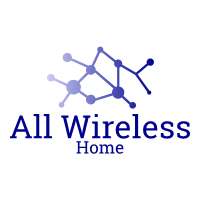 Allwirelesshome is dedicated to finding you the best products for all your home wireless needs! Allwirelesshome.com is a participant in the Amazon Services LLC Associates Program, an affiliate advertising program designed to provide a means for sites to earn advertising fees by advertising and linking to Amazon.com, Amazon.co.uk and other Amazon stores worldwide.